NASA pronounced it dead over a decade ago – now, amateur satellite trackers found the agency’s 18-year old IMAGE magnetosphere exploration satellite to be actively transmitting signals to Earth from its highly elliptical orbit – sending NASA engineers into a scramble to locate 13-year old communication protocols to see whether the stray spacecraft could indeed be revived. Scott Tilley, a visual and radio satellite tracker based in British Columbia, was performing a broad scan of the S-Band frequency band on January 20 in the hopes of discovering the ultra-secretive Zuma spacecraft launched earlier this month on a SpaceX rocket and rumored to have fallen victim to a separation failure from its booster. Instead of Zuma, Tilley came across a signal from a satellite in a Highly Elliptical Orbit. It wasn’t what Tilley was looking for but still piqued his interest and closer study showed the object’s carrier frequency was consistent with NASA’s IMAGE spacecraft that had not been heard from since 2005. Several hours of tracking the undead spacecraft confirmed the object matched the orbital parameters of IMAGE, provided by the Joint Space Operations Center that tracks all sizeable objects in orbit – including dead and defunct satellites. Read Scott Tilley’s Blog Post for all details on his recovery of IMAGE. Tilley then reached out to Dr. James Burch, the IMAGE Principal Investigator at the Southwest Research Institute, who responded with great interest and also informed fellow IMAGE team members who sprung into action to provide confirmation that IMAGE is indeed alive while backtracking 13 years to find the communications protocols for the mission. 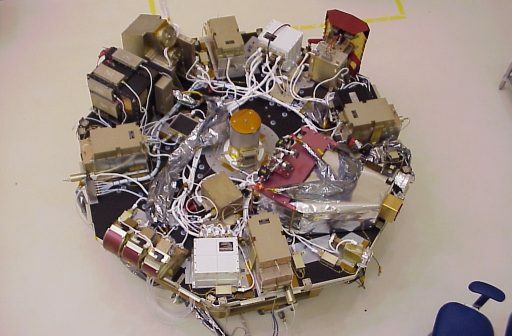 IMAGE – the Imager for Magnetopause-to-Aurora Global Exploration – is a multi-instrument magnetospheric exploration mission, placed into a highly elliptical orbit of 1,000 by 46,000 Kilometers by a Delta II rocket on March 25, 2000. In this orbit, the 494-Kilogram observatory traversed Earth’s magnetosphere for the first-ever dedicated imaging attempt of the magnetosphere and dynamics therein with particular focus on the interaction with the solar wind and space weather phenomena. Built for a mission of two years, IMAGE collected Extreme- & Far-Ultraviolet images of the magnetosphere, conducted Energetic Neutral Atom Imaging (ENA) and measured plasma dynamics with a radio instrument – delivering the first comprehensive look at the previously invisible space in the inner magnetosphere. IMAGE exceeded all its scientific goals and made close to 40 new discoveries about Earth’s magnetosphere & plasmasphere and laid the foundation for extensive research in this area conducted through a series of follow-on missions including NASA’s four-spacecraft MMS constellation exploring magnetospheric phenomena at different three-dimensional scales. Classed as a highly-productive mission, IMAGE was allowed a mission extension and, at the time, was ranked as the second most valuable space-physics mission by NASA Headquarters. In addition to confirming several theoretical predictions, IMAGE also made numerous new discoveries that became the subject of research conducted since. With great interest in collecting additional data, IMAGE received another mission extension and was funded for operation until 2010. However, on December 18, 2005, IMAGE fell silent. Completely silent. Not even a carrier signal was heard from IMAGE, considered a craft’s heartbeat. Over the following days and weeks, commands were sent blind to reset the spacecraft’s transmitter or change antennas but to no avail. Teams also attempted to use a built-in safety function of IMAGE – a watchdog timer that will send the spacecraft into a reboot after three days without receiving commands from Earth, but the satellite remained without any sign of life. NASA ruled out a space debris impact since IMAGE remained in a stable orbit and radar measurements showed the spacecraft had kept its normal spin rate of 0.5 RPM. An attempt to determine whether IMAGE was still controlling its heaters was inconclusive. A three-month investigation into the failure was conducted January through April 2006 and found the likely cause of IMAGE’s silence to be a Single Event Upset-induced instant trip of the Solid State Power Controller (SSPC) of the craft’s transponder – essentially knocking out its ability to communicate in both directions (receive and transmit). 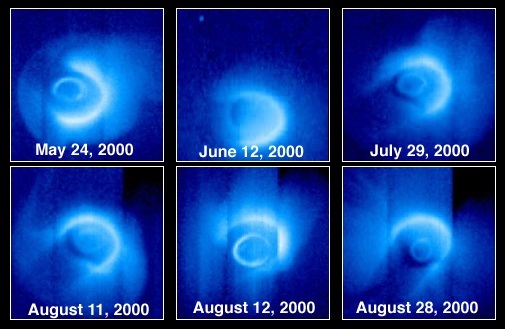 The investigation board determined that it was unlikely for IMAGE to be revived; however, a prolonged series of eclipses in 2007, arising from the craft’s 90-degree orbit, was identified as a possible natural revival mechanism. 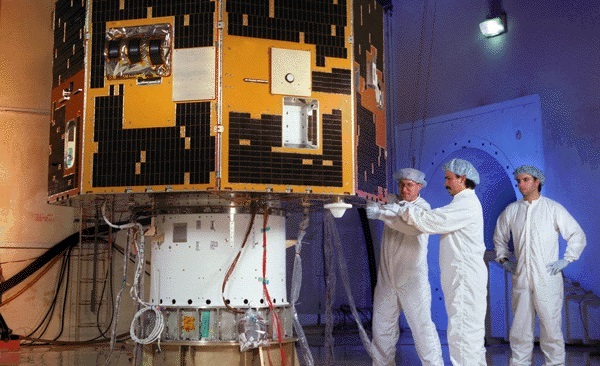 It was believed there was a slim chance that IMAGE’s battery would be drained sufficiently during the eclipse to drop the main bus voltage below a programmed threshold and send the spacecraft into a full-on re-set, causing the SSPC to be power cycled which was expected to restore bi-directional communications. 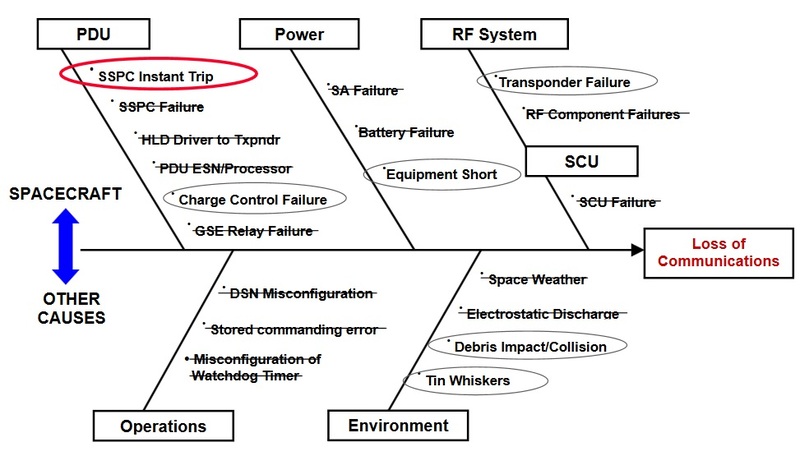 The root cause of IMAGE’s 2005 failure was attributed to a design flaw not known at the time of the mission’s development: The SSPC, acting much like a circuit breaker to cycle transponder power, was built to be opened and closed by the flight software based on a Fault Detection & Correction Logic. However, the peculiar nature of an instant trip event (extremely short current transient) could not be reported in the status telemetry lines, resulting in the Power Distribution Unit receiving an indication that the SSPC is in a closed state while in actuality it tripped open and is no-longer passing power to the transponder. 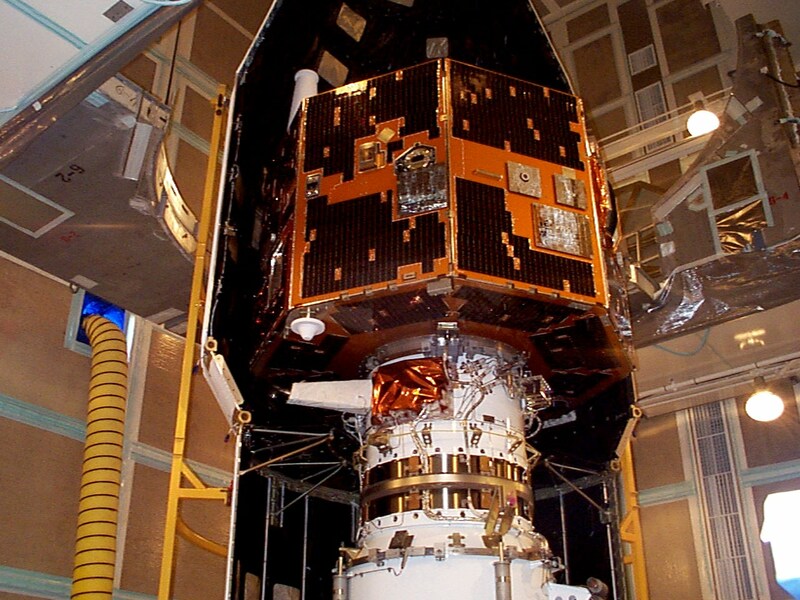 The October 2007 eclipse was seen as IMAGE’s best chance of recovery – a 160-minute period of orbital night that would sufficiently drain the batteries but, as in-depth analysis showed, would not violate survival temperatures of the craft’s systems and instruments. There was uncertainty whether the eclipse would indeed bring the power bus below the threshold and cause the desired re-set, in part because flight software documents showed two differing threshold values (24 Volts, to be reached after 2.2 hours of eclipse & 21 Volts, requiring an impossible eclipse duration of four hours). The 2007 eclipse came and went without a signal from IMAGE, taking all hopes for a mission revival and effectively ending the project. Now, more than ten years after NASA stopped listening for IMAGE, Scott Tilley recovered the spacecraft. And, as it turns out, IMAGE had returned to the living several years back as Tilley’s data archive shows the spacecraft was transmitting on May 4, 2017. Dr. Cees Bassa, a professional radio astronomer and hobbyist satellite tracker from the Netherlands, also reviewed his archive and found IMAGE transmitting as early as October 2016 and no detection in January/February 2014, constraining the time window for IMAGE’s resurrection. Tilley also reported IMAGE was still spinning at around 0.34 RPM and, based on the strength of the signal and the presence if side bands, he concludes that telemetry would be readable through a properly equipped ground station. Engineers at NASA’s Goddard Space Flight Center used the four-meter Compatibility Test Antenna on January 26 to validate the signals were indeed coming from IMAGE. 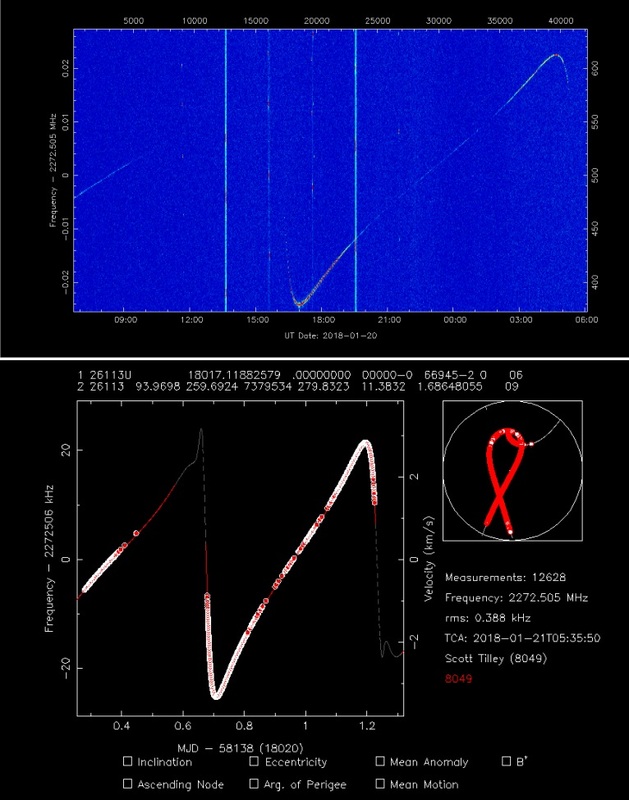 Two more ground stations independently confirmed the position and signal characteristics of the object – also indicating IMAGE is powered for long periods of time. The next step would be assessing the spacecraft’s health via telemetry data. “This process must take into consideration the vintage nature of the spacecraft, and includes locating appropriate software and commands to potentially operate the mission,” NASA said in a statement. Efforts kicked into high gear on January 26 and teams at UC Berkeley where IMAGE’s prime ground station was located, are scrambling to put together software protocols that haven’t been used for over a decade to see if they can receive telemetry from IMAGE. NASA Goddard has called up Deep Space Network support to begin two-way communications with the spacecraft as soon as communications protocols are ready. Initial attempts to receive telemetry from IMAGE were planned over the weekend. Depending on the results of these initial communications attempts, a full-fledged “IMAGE Reboot” may get underway – provided the spacecraft’s core systems are still functional and at least some of its six instruments are still capable of collecting data. There is quite some interest in returning IMAGE to service, if possible, given its still-unique capabilities in the area of Energetic Neutral Atom Imaging. 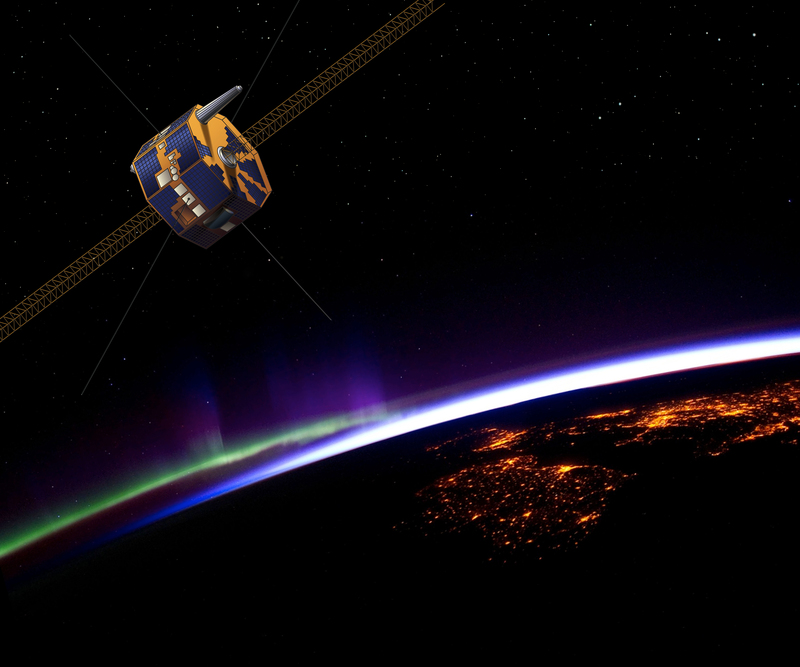 Additionally, an IMAGE reboot would be able to provide complementing data to NASA’s formation-flying Magnetospheric Multiscale Mission MMS that launched in March 2015 and the GOLD hosted payload that launched recently to study space weather phenomena in the lower atmospheric layers, specifically the ionosphere & thermosphere. Before IMAGE was declared lost for good, NASA’s Failure Review Board noted the mission could be “operated as it was previously” if the spacecraft came back on line in 2007; naturally, whether this expectation will hold true after ten years of silence is another question. The operational scenario would call for a science re-commissioning phase to bring the instruments back in a step by step manner to carefully assess their operational state by comparing measurements with past data. Depending on the status of the spacecraft core systems, the team would desire a re-orientation of the spin axis to orbit normal in order to minimize the gravity gradient torque. An adjustment of the craft’s spin rate via its Magnetic Control System would also be highly desirable to ensure stable communications. Another very important step of any recommissioning activities – if possible – would be adding insurance for any future recurrence of the SSPC problem. Because the software of the Power Distribution Unit is hard-coded, it would reject any commands from the Spacecraft Command Unit to cycle the power controller. 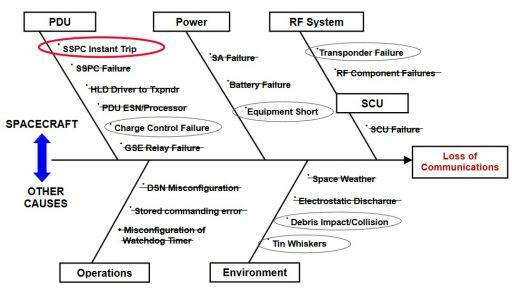 A workaround identified by the Failure Review Board would be to raise the bus re-set threshold to induce a complete spacecraft re-set at a higher bus voltage while also configuring the craft to continue using maximum power during an eclipse. This would make the short eclipses occurring on an annual basis sufficient for provoking a hard re-set. If IMAGE can be revived, its rotating orbit will be well positioned for the collection of science data over the northern auroral zone.